Location: The 65-acre main campus and more than 700-acre Equine Center and outdoor adventure program is located just 10 miles south of Lexington, Kentucky, in the beautiful Bluegrass Region along the stunning Kentucky River Palisades. Asbury is just minutes outside Kentucky’s second-largest city and a little more than an hour from metro Louisville and Cincinnati. Test Score Recommendations: ACT minimum: 22; SAT minimum: 1020. Contact us for Classic Learning Test or Test Optional requirements. 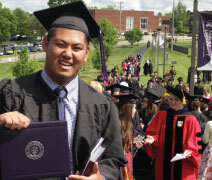 Already named one of the most affordable Christian colleges in the nation—with 99% of its students receiving financial aid and the average student paying less than half the original tuition charge—it’s no surprise Asbury University was set apart again in 2018–2019 with a top 15 spot in U.S. News & World Report’s “Regional Universities” rankings. 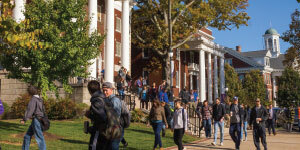 Among nearly 150 colleges and universities in its category, Asbury is the top-ranked school in Kentucky and the only one in the top 15 from Kentucky. 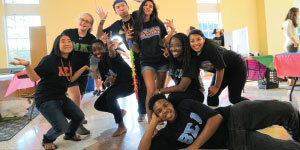 Asbury’s commitment to academic excellence is impressive, but spiritual vitality is just as important. At Asbury, you develop lifelong friendships through a safe residential Christian environment, preparing you to engage culture and advance the Gospel through your calling. You build a résumé while strengthening your relationship with God. Celebrating 125 years of academic excellence and spiritual vitality, Asbury alumni have been Nobel Prize finalists, writers for nationally released films and television shows, highest-ranking officers in The Salvation Army, and life-changing doctors, scientists, lawyers, CEOs, teachers, and missionaries. With 17 sports, the mission of Asbury Athletics is to provide student-athletes with the opportunity to be a witness of faith through intercollegiate competition. Athletes make a difference in their own lives and serve as representatives of the ideas and spirit of Asbury University. In addition to the cross-country course and Luce Center—an on-campus facility that hosts basketball, volleyball, and swimming competitions—Asbury offers on-campus tennis, soccer, lacrosse, softball, and baseball complexes. We also offer scholarships for our Tumbling Team, a unique team utilizing tumbling as a tool for ministry. Are you ready to start the journey God has crafted for you? Are you ready to make an impact through your calling? If so, start here. Impact the world.